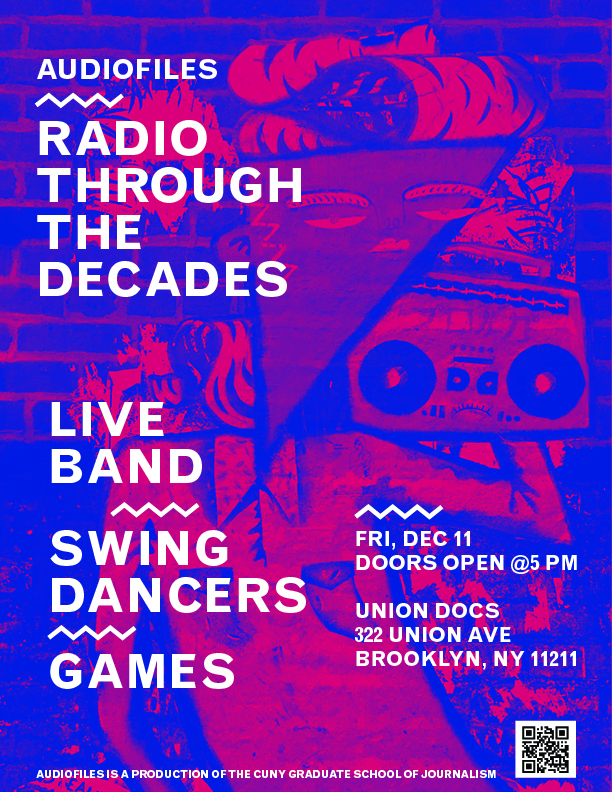 AudioFiles hosted its annual LIVE SHOW at UnionDocs in Brooklyn. It featured stories inspired by the good old days of radio drama all the way to the current podcast boom. The audience will be able to participate in the evolution of radio by touring through a well-curated visual and audio experience based on significant moments in radio history. Come and step back in time. There will be a live band, swing dancers, games, and beer too! The show is free for CUNY J-School students, alums, faculty and staff. More info on Facebook and Eventbrite.